Cornice Boards w/ Roman Shades - by Exciting Windows! The coordinating fabrics of the window treatments feature subtle tones and patterning that complement each other and combine well with other elements of decor. 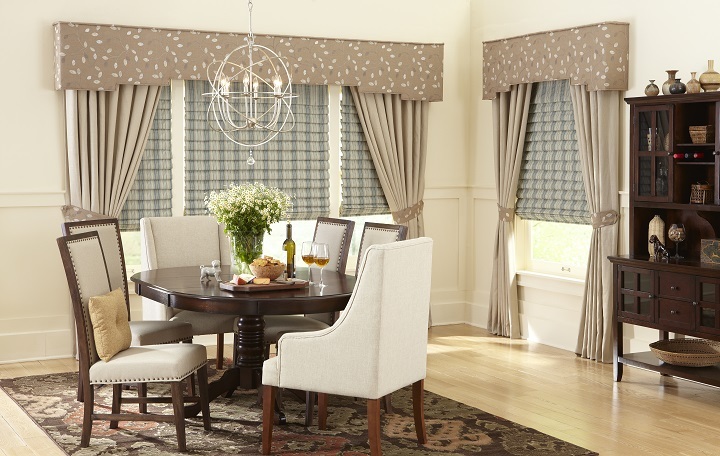 The fabric Roman Shades offer benefits of light control and energy efficiency, while the full drapery panels can be used for added control when necessary. The customized fabric and shape of the cornice boards will add levels of style and dimension to any space.